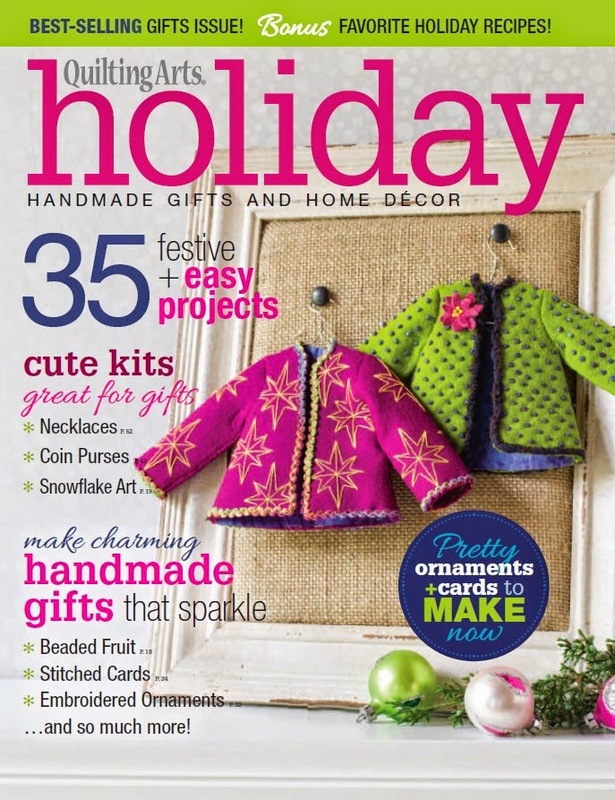 Quilting Arts Holiday magazine is hosting blog hop! I’ve listed the participating artists below. Many will be posting tuturials or doing give-aways, so make sure to check each blog on the days listed below. And come back and see me on Sept. 18! Quilting Arts is giving away an Easy Necklace Kit, a Beaded Snowflake Kit, 2 yards of Pellon interfacing and a copy of Holiday so you can make Village Houses (directions in the magazine). All these projects are featured in Quilting Arts Holiday. Just check out Vivika’s post, and leave a comment there. You can buy a copy of the magazine in the Quilting Daily Shop.